GridDot is now available on itch.io and Google Play Store! 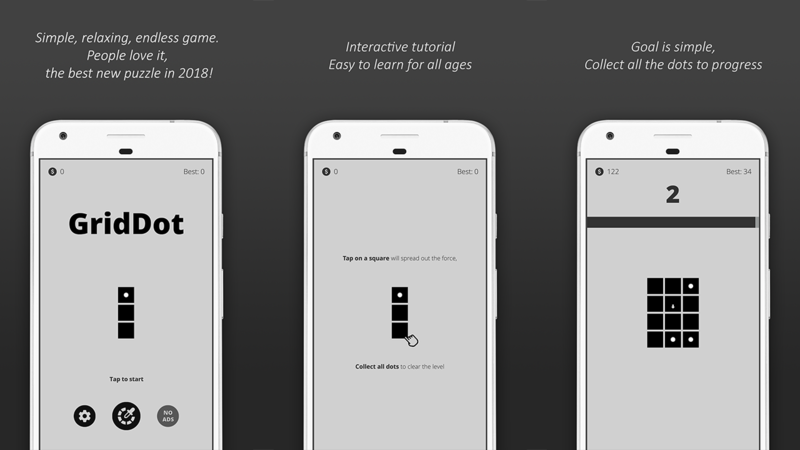 ◆	Tap on a tile to start a level, a force will spread from the tile you have selected, towards four directions (Up, Down, Left and Right), collect all dots with this force to pass the level. ◆	Arrow tiles will redirect and change the direction of the force according to the direction arrow is pointing at. ◆	Free to play, newly made in 2018! 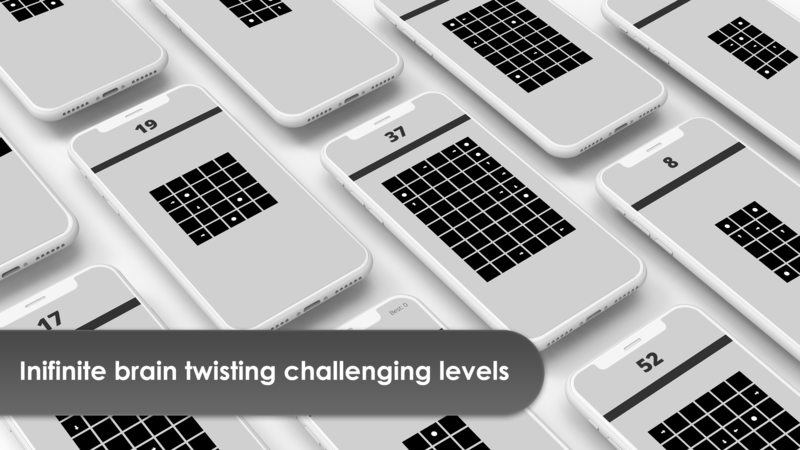 ◆	Challenging short puzzles (average 4 seconds per puzzle). ◆	One tap - easy and familiar input. ◆	Fully procedural, infinite puzzles. ◆	One page UI, straight into the game. 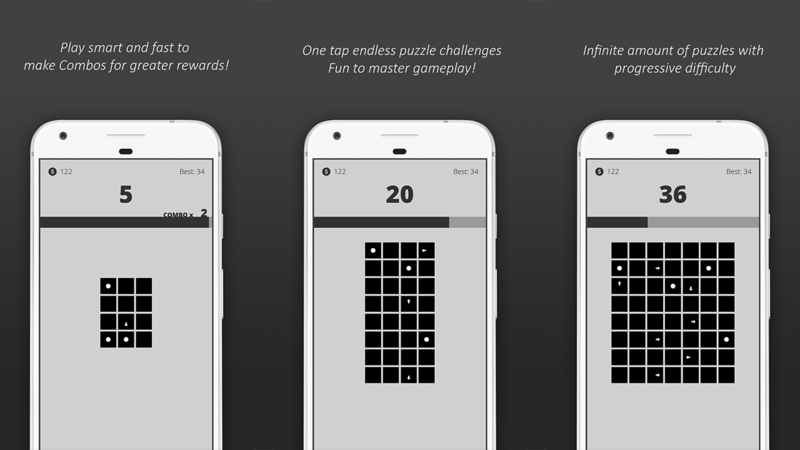 ◆	Quick on-boarding, anyone can enjoy solving puzzles!